Saphronia is a consumer due to her Lumbar Fusion, Fibromyalgia and ADD. In addition, she is a parent and grandparent/guardian of children and adults with developmental disabilities and mental health issues, and the spouse of a person living with a physical disability. For over 20 years, she has been educating herself about various disabilities, as well as the laws, policies, and resources that affect and support people with disabilities. 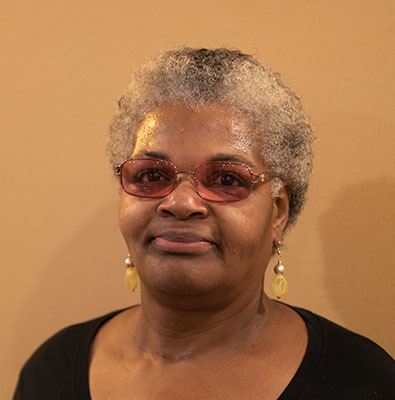 She spent some time as a Parent Leader for WI FACETS (Wisconsin Family Assistance Center for Education, Training, and Support) in the early 2000s, and as a Parent Peer Specialist for Wisconsin Family Ties in 2016-2017. Saphronia is the founder and lead Parent Advocate for Parents Empowering Parents, established in 2003. She continues to advocate for and share resources with people and families of people with disabilities on a volunteer basis. She acquired a Bachelor’s Degree of Science in Health Care Management in 2015. Saphronia was elected to the DRW Board in December 2015.